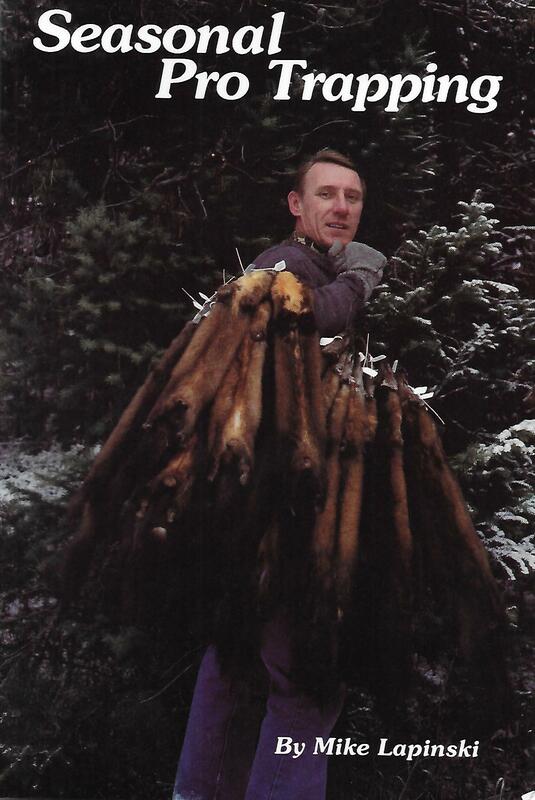 By Mike Lapinski When Mike set out to write Seasonal Pro Trapping, he brought to the effort two essential ingredients not always found in texts about trapping-he is both a quality book author and nationally published outdoor writer for Outdoor Life, Fur Fish & Game and a quality trapper with years of in-the-field experience. In other words, he knows what he's talking about. This books gets right to the core of how you can make your part-time trapping efforts profitable. His chapters carry you through the business part of trapping to a listing of the top 10 trapping states. He covers the basic trapping techniques that work for the major fur species - muskrat, mink, raccoon, beaver, otter, fox, coyote, bobcat, lynx, marten, fisher and wolverine. By the time you've worked your way through this book you'll know that you've been in the field with an expert.